Google Maps Audio Delayed Or Not Working On An iPhone? Here's Why! 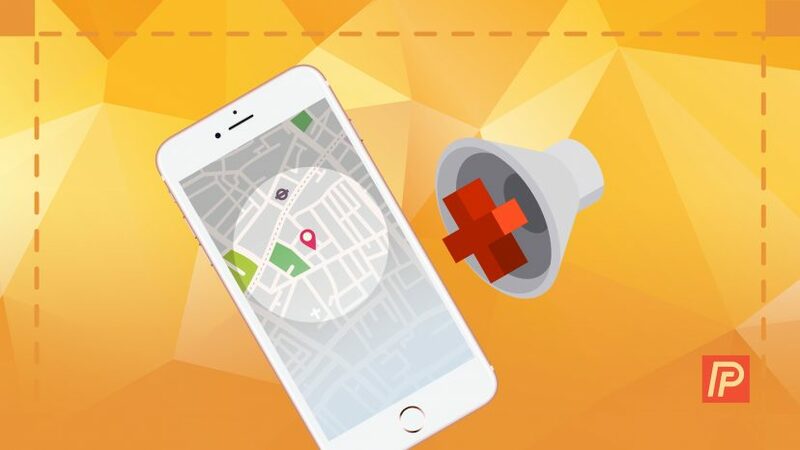 You are at:Home»iPhone»Apps»Google Maps Audio Delayed Or Not Working On iPhone? Here’s Why! Google Maps Audio Delayed Or Not Working On iPhone? Here’s Why! Google Maps audio is not working on your iPhone and you’re starting to get frustrated. Delayed directions leads to missed exits and wrong turns, which can cause you to get lost in a hurry. In this article, I’ll show what to do when Google Maps audio is delayed on your iPhone and why this problem troubles so many drivers. Why Is Google Maps Audio Not Working Or Delayed? Google Maps audio is not working or delayed because the voice is playing over Bluetooth. Bluetooth has a delay because it doesn’t stay connected when your iPhone is not using it. For example, if you drive a long stretch on the road without changing directions, Google Maps audio may be delayed because your iPhone first has to reconnect to the Bluetooth device, then give the directions. Sometimes, that delay is enough to cause you to miss your turn! In order to fix the Google Maps audio delay, we’ll turn off Play voice over Bluetooth. Before you can fix the Google Maps audio delay on an iPhone, make sure that you’re playing audio through your car’s dock connector first. The dock connector of most vehicles will do this automatically when you connect your iPhone to your car using a Lightning (charging) cable. Open the Google Maps app on your iPhone. If you haven’t already, pick a destination and tap Start in the lower right-hand corner of your iPhone’s display. Once you’re on route to a destination, tap the arrow pointing up in the lower right-hand corner of your iPhone’s display. Tap Settings (look for the gear icon) which will take you to a list of Navigation settings. Under Navigation settings, turn off the switch next to Play voice over Bluetooth. You’ll know the switch is off when it is gray and positioned to the left. Now that Play voice over Bluetooth is turned off, Google Maps will give the directions on-time because your iPhone is synced via USB instead of Bluetooth. While Bluetooth technology is exciting, it’s still not quite as fast as direct USB connection! 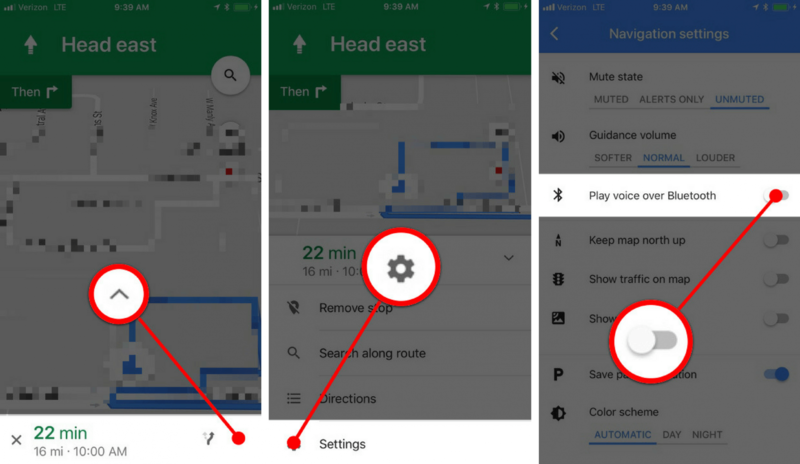 You’ve successfully fixed your iPhone’s Google Maps audio delay issue, and now you’ll receive the directions you need as soon as you need them. This problem can be incredibly frustrating, so we hope you’ll share this article on social media so your friends and family don’t get lost in places they’re unfamiliar with. Previous ArticleWhere Can I Watch The Walking Dead On My iPhone? The Truth! Next Article Offload Unused Apps On iPhone: What It Means & Why You Should!